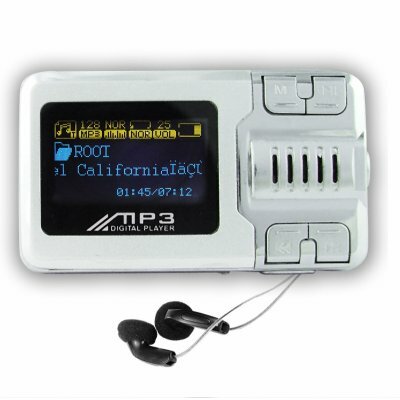 Successfully Added Palm Sized MP3 Player 4GB - Voice Record + LCD Screen to your Shopping Cart. Incredibly small, palmed sized 4GB MP3 player, but still fitting in some great features like a voice recorder and a 2 color LCD Screen for easy GUI navigation. This is a great music player for either your MP3 or WMA files, and can be clearly heard even without earphones with its high quality built in Speaker. Also it features multi languages, 7 EQ modes, a telephone book and E-Book Reader. For such a small MP3 Digital Player, it packs a very large punch, and is a perfect gift for yourself or others..